Somaliland’s President has received an invitation for talks with the government of Britain. The issue between Somaliland and Somalia will probably be on the agenda. 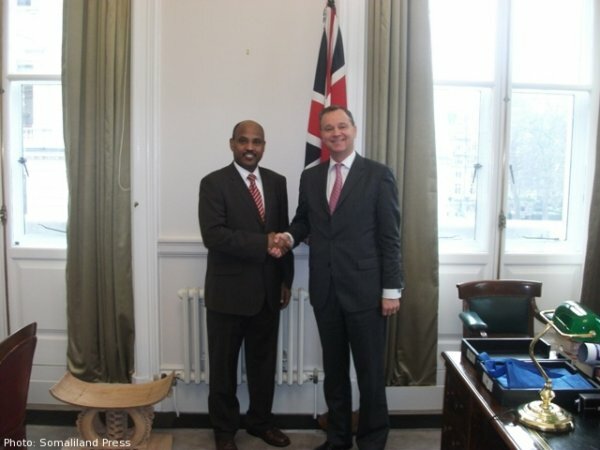 The government of Britain has invited Somaliland for talks in London. President Silanyo who departed the country from Hargeisa's Egal international airport is accompanied by the 1st lady MS Amina Weris, Foreign minister Dr. Mohamed A Omar and other officials. The presidenWarm Send offtial entourage that will transit in Nairobi is expected to hold talks with the UK government and more specifically, Foreign Secretary William Hague.